Edited by Alex Harris and Sara Gomez. Additional texts by S.Anandalakshmy and Alex Harris. In her new book, Sara Gomez explores through photographs and narrative writing how poor, self-employed women workers in India are able to provide high-quality child care for their families and the benefits that result from that care. “For a photographer, making pictures of children is paradoxically one of the easiest and at the same time most difficult things to do. Practically anywhere in the world, children love the camera and will respond enthusiastically even to a stranger who has wandered into their school or neighborhood to take pictures. But to photograph children in relation to their friends, teachers, and family, to show children woven into the fabric of a community and country, to hint at children’s inner lives, these are indeed much more difficult things to accomplish with a camera. 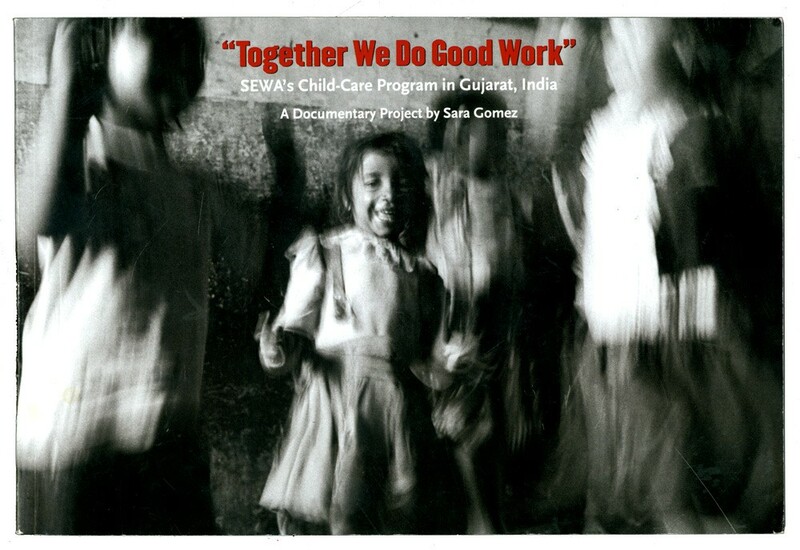 But these are just the accomplishments of Sara Gomez, a graduate of Duke University who spent her first year out of college as a Hart Fellow in India working with the Self-Employed Women’s Association (SEWA) to document their early child-care program. Through her photographs we go beyond statistics to learn the human dimensions of SEWA’s program, to gain knowledge that only an empathetic and skillful social observer could impart. – Alex Harris, from the introduction.